Corrective exercises have become a foundational part of the fitness landscape in recent years. As the understanding of human motion evolves, the fitness community has embraced the opportunity to help their clients move better. This article will present a framework for a model of developing comprehensive corrective exercise programming. This framework is based on both scientific principles and the author’s 20 years of experience with corrective exercise. For the purpose of this article, it is beneficial to establish a working definition of corrective exercise: Corrective exercise is the use of movements and/or postures to produce desirable changes in movement strategies, thereby minimizing or eliminating compensation and producing efficient movement patterns. Corrective exercises should precede more integrated exercises because they can cue the client’s motor system to respond in a more desirable way and assist in removing or improving biomechanical constraints. Fitness professionals should be reminded that any reference or attempts at treating and/or diagnosing injuries is outside of the professional boundaries and should be the domain of licensed medical professionals. It is of this author’s opinion that the various forms of myofascial and trigger point release play a significant role in the overall corrective strategy; however, they are not classified as “exercises” and will not be included in this article. From one perspective, human movement is based on “reward” or “punishment” feedback. The positive feedback, known as the “reward”, most often goes unnoticed because these are the efficient, presumably pain-free movements. The “punishment” is the negative feedback we get in the form of aches, pains, soreness, stiffness, etc. The body will always take the short term reward despite the potential for longer term punishment. For example, if your patella is not tracking properly and leading to low-grade irritation (punishment), you alter your gait to avoid the provocative motion (short term reward). But as a result, the rest of the kinematic chain is affected and potential damage manifests elsewhere (punishment). Slouching in a chair (short term reward) is another example. The reduced effort required for slouching takes precedent over the stress applied to the tissue during that moment in time and cumulatively. The reward/punishment model along with all motor learning is part conscious and part unconscious. Lemon stated, “Motor learning is a consequence of the co-adaptation of the neural machinery and structural anatomy.” Therefore, we must fully realize that the brain drives the body but the body’s structural adaptations will feed right back into the brain. For example, excitation of the motor nerve from the spinal cord determines how frequently the muscle is excited, but how the muscle actually contracts and relaxes is determined by the physical properties of the muscle tissue (Brooks). An effective corrective exercise program must, therefore, influence both the structural anatomy and the neurological system via the efferent and afferent pathways. The efferent pathway carries nerve impulses from the brain to the muscles – the brain driving the body. Whereas, the afferent pathway carries nerve impulses from the muscles to the brain – the body communicating back to the brain. This is a departure from a corrective exercise paradigm based purely on “tight” muscles that must be stretched and “weak” muscles that must be strengthened. 3. Beneficial and immediate short term changes in biomechanics and motor control will occur within a given session completely independent of any hands-on intervention. Progressing exercises is a common component of effective exercise program design. Exercise progressions are typically defined by an increase in variables such as intensity, duration, frequency, tempo, load or volume. In other words, exercise progressions are quantitative and a broader component to exercise program design. Exercise sequencing, on the other hand, has more to do with the relationship between exercises in a given series of exercises within a program. Sequencing looks at the effects of each exercise in the program in relation to others within the same program and is more qualitative (Carey). As with all programming, a corrective exercise program should have a major objective. To borrow from business and personal growth guru, Steven Covey, “we should begin with the end in mind.” Sequencing is a way in which to create mini objectives, or stepping stones, to moving the neuromusculoskeletal system toward the main objective. Having a series of mini objectives or routines within the program allows you to audit your progress through the program. The audit is necessary to ensure that the mini objectives are met. If not met, the program is not on target to meet the main objective. One exercise should prepare the body for the next and never cancel the benefits of a previous exercise. The final exercises within the corrective exercise sequence should also be congruent with the main objective and adequately transition the client to their next stage of activity. For some clients, that may mean the session continues into a more traditional fitness program. Or this may mean leaving the session, walking out the door and getting into the car. In either event, at completion of the corrective exercise program, the client should be integrated into a vertically loaded position versus descending the program back to the floor. The 80-20 Principle is a principle historically applied to economics, production, engineering, and management. It states simply that 80 percent of the effect is a result of 20 percent of the causes. The corrective exercise model described here applies the 80-20 principle to the resultant movement dysfunctions we see in our clients. If we agree the human organism is a highly integrated structure, then it is clear that no biomechanical event occurs in isolation. As a result, a change in motion of any joint in the body can create a change in motion of joints above, below, and/or far removed from the joint in question. This cascade often leads to regional symptoms or areas of limitations that the client does not even associate with the origin of the cascade. For example, a client that sits at a desk with a landline phone may continually hold their phone on the right side, between their shoulder and ear, because the phone is located on that side of the desk. As a result, there is continuous tension on the right side spinal musculature. The cumulative effects are chronic hypertonicity of the muscles and associated lateral flexion of the spine to the right. The shoulder elevated to the ear, while on the phone, eventually depresses during normal standing as the cervical spine laterally flexes left to reorientate the eyes to the horizon. This individual is susceptible to a myriad of mechanical stress that will be present as localized symptoms at the neck and shoulder, as well as from the thoracic back to the feet. The catalyst of all this was the ergonomics of their phone use. As a result, many fitness professionals may end up working with clients who were treated in the painful area of the body and cleared for exercise only to have the problem or associated problems resurface. Returning to the 80-20 Principle, identifying the hierarchy of dysfunctions (the “20”) will assist us in formulating the program design. Programming objectives should emphasize the most influential structures and move out from there. This is in contrast to a corrective exercise program design that might assess multiple movement/postural dysfunctions and then create a corrective exercise program with exercises for each individual dysfunction. is easier to continue with current strategy. processing needed to influence their movement patterns. motor system cannot assimilate the necessary steps to do it differently. If we are to create qualitative change in the way a person moves, we must understand what is driving their movement strategies. A movement or motor strategy can be thought of as a way a person has learned to execute a movement. Gait is a fundamental movement strategy used by anyone who can ambulate. Assessments of movement strategies are generally inferred by observing kinematic variables. For example, if you assess a person’s squat, the observations you are making are based on joint motions and segmental positions because we cannot see what the nervous system is doing. Even if we could see the nervous system, 10 squats that look very similar kinematically could be very different neurologically. This is because the nervous system is capable of producing very similar results through different combinations of motor unit pools, timing and contribution. This is referred to as kinematic redundancy. Muscle synergies represent a library of motor subtasks, which the nervous system can flexibly combine to produce complex and natural movements (Safavynia et. al). Think of them as building blocks of a movement strategy (Torres-Oviedo and Ting). As building blocks, muscle synergies are more easily influenced than a complete movement strategy. From this perspective, we can see how the appropriate sequencing of the corrective exercise program can affect positive change. Inherent to creating immediate positive changes in the quality of the movement is appreciating the variability intrinsic to any repeated movement. Variability in execution can be viewed as an advantage and not as a nuisance during execution because the variability leads to adaptation that was not previously present within the muscle synergies (Schöllhorn et. al.). With the proper corrective exercise program design, new (and presumably improved) muscle synergies can be stimulated within a session using the body’s own intrinsic variability. As a result, the various muscle synergies interact to create changes in global movement that serves as a “reward” to the body. 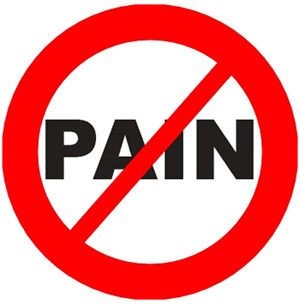 The results can also be of tremendous value to the chronic pain client. This client very often associates familiar movements as pain producing. By facilitating muscle synergies that produce a movement outcome in a novel way, it helps that client disassociate those movements from a familiar pain producing movement. This change is short term since a learning effect likely did not occur within an hour session. But since changes were produced independent of the trainer or therapist, the client/patient can reproduce the results daily on their own. Progressions within a program are made not by adding repetitions or load to the same exercises, but instead creating variability within the sub routines of the program that continue to work toward the main objective(s). We do this through graded exposure. Graded exposure in this context is applied to the amount of variability and novelty the client can successfully handle without pain and compensation. By doing so, the neuromusculoskeletal system is continually challenged by the quality and not necessarily the quantity of the input. When structured properly and with a clear understanding of potential for change, corrective exercises can create very powerful adaptations in the quality of movement in our clients, athletes and patients. The model proposed in this article is part of a very successful approach that has helped clients from around the world. Carey, A. (2005). The Pain-Free Program: A Proven Method to Relieve Back, Neck, Shoulder and Joint Pain. New York: John Wiley and Sons. Gelsy Torres-Oviedo and Lena H. Ting, Muscle Synergies Characterizing Human Postural Responses; Journal of Neurophysiol 98: 2144–2156, 2007. You are currently browsing the Function First blog archives for April, 2013.